Punjab JET 2019: Punjab State Board of Technical Education and Industrial Training (PSBTE & IT), Chandigarh is an advisory body for technical education institutions in the Punjab region of India. Punjab JET is a state level polytechnic admission process conducted every year by PSBTE & IT, Chandigarh. Punjab JET is commonly known as Punjab Joint Entrance Test (Punjab JET). Punjab JET will be conducted this year also by PSBTE &IT for the candidate seeking admission in diploma courses in more than 130 polytechnic colleges located across the Punjab state. No entrance exam will be conducted for Punjab JET 2019. On the basis of 10th percentage, students will get admission in polytechnic institutes of Punjab state. 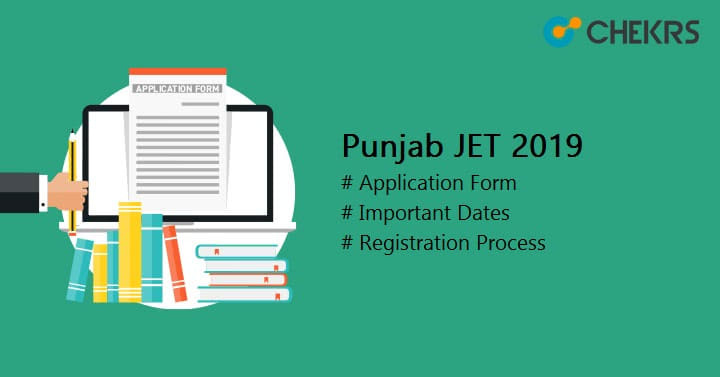 You can check the official portal www.punjabteched.com for complete detail regarding the Punjab JET 2019 Admission procedure. PSBTE & IT will announce the actual admission date of Punjab JET very soon on their official website. Here we are providing the expecting date of Punjab JET 2019 admission taken from the previous year Punjab JET 2019 important dates. We will update you with the actual date after the release of Punjab JET Key Dates 2019. Keep visiting this site to get more updates. Punjab JET 2019 Application Form will start from the 4th week of May. It will be available online. Candidate can check the portal and apply for the online application form of Punjab JET 2019. Only eligible candidates can apply for Punjab JET 2019. Click on the link Registration to register yourself. After registration. Login in with your name & password. Fill the application form. Upload recent photographs with signature. Pay the fee and then submit it. The fee can be paid through online payment only. The authority of PSBTE & IT, Punjab sets some criteria for admission in various diploma courses. Candidates must follow the eligibility criteria of Punjab JET and get admission in polytechnic colleges of Punjab. Punjab JET Eligibility Criteria will vary according to the various courses included in diploma programme. Candidate must have a domicile. Must appear 10th with Science and Mathematics as compulsory subjects. The student must have passed with a minimum of 35% in the qualifying exam. Candidate should pass from the recognized board like CBSE, ICSE or any state board. PSBTE & IT provide reservation quota also. Those who fall in the category will be considered first. Candidates who belong from Punjab have maximum reserved seats. 85% seats are reserved for the permanent resident of Punjab and 15% seats are reserved for students from outside Punjab. Check the table of reservation of seats for each category. Punjab JET Merit List will be declared in June, 2019.It will be released online on the basis of score in the qualifying exam. Punjab JET Result will be prepared by PSBTE & IT. In order to get the Punjab JET Result, candidates have to login on the official website. Candidates who submitted the application form successfully, will be able to download the result of Punjab JET 2019. Click on the given link “Admission 2019”. Enter the roll number and download the Punjab JET 2019 Merit List. Merit list will be completely based on the matriculation examination score. Candidates will be called for counselling according to their merit list. On the basis of Merit List, Candidates will be called for Document verification and admission process. Candidates have to bring all the required documents and their photocopy to the venue. Candidate’s documents and certificates will be verified there. After it The further PUNJAB JET Admission process will start, in which candidates have to pay the fee and choose the course for admission.